Sahm Adrangi is one of those hedge fund managers with a unique approach. In some ways, the New York City-based manager of Kerrisdale Capital Management likes to partake in social activities in the Hamptons that can extend late into the night. Not much different from many managers given his single, wealthy and testosterone-laden demographic. Where Adrangi is slightly different is that he had a rough patch and an incident that resulted in investor assets fleeing. But it didn’t change Adrangi’s focus and determination. In fact, after the incident he came back stronger than ever, leaving poor performance behind him. And those that stuck with him were rewarded, particularly in the fourth quarter, a letter to investors reviewed by ValueWalk shows. 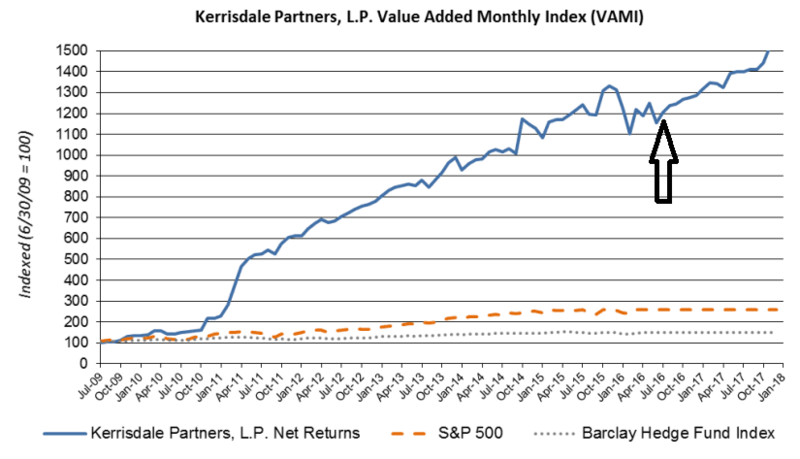 Kerrisdale Capital was up a stout 9.3% in the fourth quarter and what makes this outperformance so interesting was not just the fact he trounced the Barclay Hedge Fund Index, which was up only 3.1%. He is unique due to his approach. He focuses mostly on niche investment ideas, that path less traveled that, like his personal life involves risk if not managed with discipline. With information democracy sweeping the investment landscape – and now suddenly free institutional research coverage on every major stock there for the asking – Adrangi focuses his skills in markets where the crowd isn’t looking. Take his position in MOMO Inc., one of China’s social media applications that serves the live video streaming market. No, big bank research coverage is not parsing every tidbit on this stock, but Andrangi is. And what he sees is both a positive based on macro market environment and unique points of individualized differentiation. There are several primary performance drivers in the MONO investment that speak to Andrangi’s stock selection skills. There are the macro market drivers – a bet on video streaming, cell phone usage, social media and China. 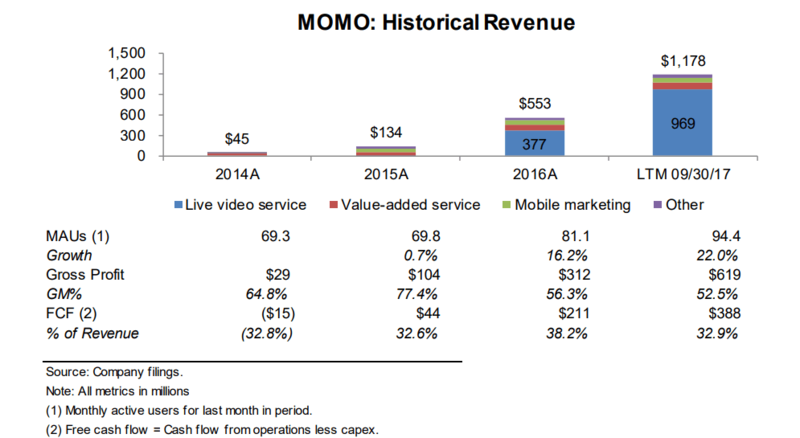 While the live streaming industry is competitive with numerous platforms, MOMO is already established as one of the leaders with nearly 100 million MAUs. Management’s recent initiatives to introduce new content and features like games and short videos will likely result in deeper user engagement and overall user growth. As management continues to focus on user growth, it’ll be just a matter of short time before the company sees platform-wide growth across all of its user metrics. With nearly 700 million smartphone users in China, MOMO has the potential to be among the primary platforms for live video streaming. Investing in small-cap stocks can be a volatile experience. In many respects, it is about uncovering the right idea that the consensus crowd is missing or isn’t even yet looking for. This type of investing can lead to troughs of disappointment, which can be seen in a chart. Likewise, Andrangi’s personal woes can also be benchmarked in Kerrisdale's performance chart by his run in in August 2016. After a rocky previous few months, once the incident was behind him, Andrangi became the comeback kid.